TSNPDCL AE & Sub-Engineer Recruitment 2018: The Northern Power Distribution Company of Telangana Limited has announced Assistant Engineer & Sub-Engineer Recruitment Notification, Eligible candidates can Apply Online For 563 Vacancies at tsnpdcl.cgg.gov.in. Applications are invited On-line from qualified candidates through the proforma Application made available on TSNPDCL WEBSITE www.tsnpdcl.in and http://tsnpdcl.cgg.gov.in to the posts of Assistant Engineer (Electl. ), Assistant Engineer (Civil) and Sub-Engineer(Elecl.). 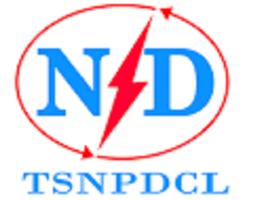 The Northern Power Distribution Company of Telangana Limited(TSNPDCL) was incorporated under the Companies Act, 1956 as a Public Limited Company on 30-03-2000 with headquarters at Warangal to carryout electricity distribution business as part of the unbundling of erstwhile APSEB. The Company caters to supply of electricity in districts of Mancherial, Nirmal, Kumram Bheem, Kamareddy, Peddapalli, Jagtial, Rajanna Siricilla, Warangal Urban, Warangal Rural, Mahabubabad, Prof Jayashankar, Jangaon, Bhadradri Kothagudem, Adilabad, Nizamabad, Karimnagar and Khammam Districts.TSNPDCL reaches out to a population of nearly 155.22 lakhs (as per provisional 2011 census) spread across hamlets, villages and towns spanning an area of 66,860 Square Kilometers. Applicants must possess the qualifications from a recognized University as detailed below or equivalent thereto as specified in the relevant Service Rules of TSNPDCL as on the date of Notification. a) Assistant Engineer (Electrical): Must possess a Bachelor Degree in Electrical Engineering /Electrical & Electronics Engineering of a recognized University in India established or incorporated by or under a Central Act or Provincial Act, or a State Act or an institution recognized by the University Grants Commission (UGC)/AICTE or any other qualification recognized as equivalent thereto (or) a pass in Section ‘A’& ‘B’ of AMIE examination conducted by Institute of Engineers in Electrical/Electrical and Electronics Engineering. b) Assistant Engineer (Civil): Must possess a Bachelor Degree in Civil Engineering of a recognized University in India established or incorporated by or under a Central Act or Provincial Act, or a State Act or an institution recognized by the University Grants Commission (UGC)/AICTE or any other qualification recognized as equivalent thereto (or) a pass in Section ‘A’& ‘B’ of AMIE examination conducted by Institute of Engineers in Civil Engineering. Mode of Payment of fee: The fee mentioned at para- I (5)(a) is to be paid online through TS Online centers duly following online instructions. CENTRES FOR THE WRITTEN EXAMINATION: The written examination for recruitment of Assistant Engineer (Elecl.) and (Civil) will be held at different centers located in GHMC area of Hyderabad and GWMC area in Warangal. EDUCATIONAL QUALIFICATION : Applicants must possess the qualifications from a recognized Institution / Board as detailed below or equivalent thereto, as specified in the relevant Rules of TSNPDCL as on the date of Notification. Sub- Engineer/Electrical: Must have a Diploma in Electrical Engineering (DEE) (or) Diploma in Electrical & Electronics Engineering(DEEE) or Graduation in Electrical Engineering in addition to Diploma in Electrical Engineering (or) Electrical & Electronics Engineering or any other equivalent qualification recognized by the Board/University of United Govt. of A.P./T.S/India/ UGC/DEC/AICTE as the case may be. NOTE: If there is any deviation from the above qualification for the above post, the candidates shall produce the equivalency certificate from the authority issuing the qualification certificate viz Registrar of the University or Secretary of the Institute for accepting his/her application. CENTRES FOR THE WRITTEN EXAMINATION : The written examination for recruitment of Sub-Engineer/Elecl. will be held at different centers located in the GHMC area of Hyderabad& GWMC area of Warangal. sir, I am a ap student.Can I apply for the AE post ?????????? I COMPLETED MY BTECH IN EEE .CAN I APPLY FOR THE SE POST? ?